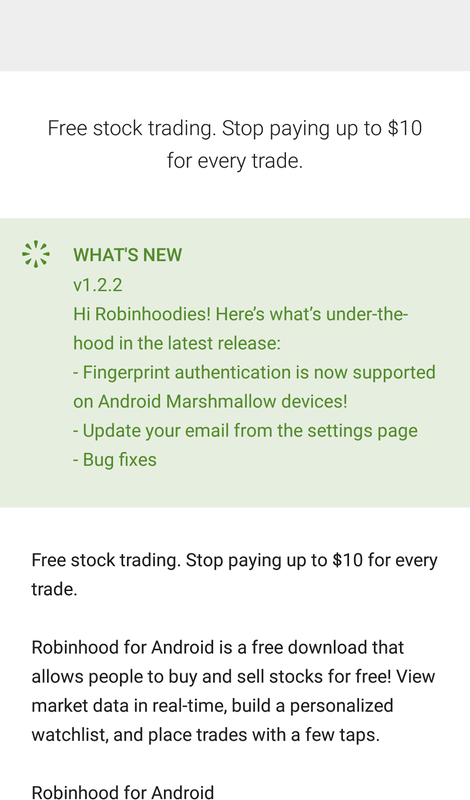 Robinhood is now on version 1.2.2. The previous version was 1.1.3. 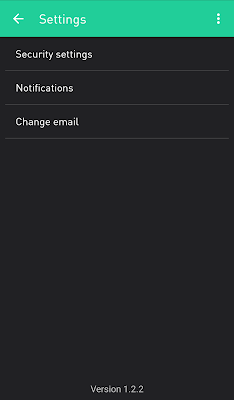 The update listed 3 updates. The first update doesn't really affect me, since the update allows Android phones with Marshmallow and a phone with a fingerprint reader to log into the phone with a fingerprint. (Marshmallow is the newest operating system coming to Android phones). 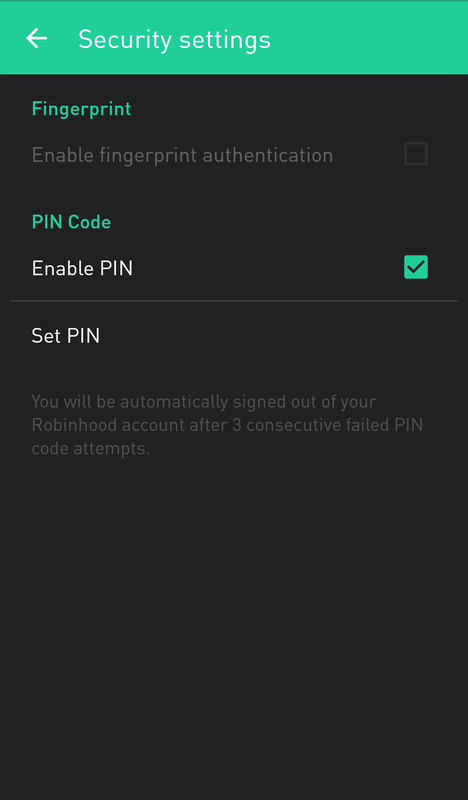 The second update added the ability to change the e-mail address associated with your Robinhood account. I don't know how this was changed prior to the update. The third update is listed as fixing bugs. 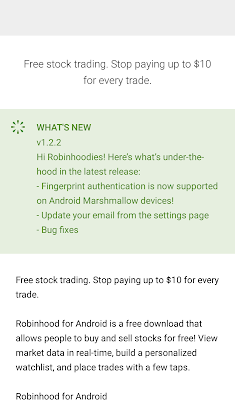 I haven't noticed too many bugs with Robinhood, but I didn't notice last week some glitches with stocks showing the price of stocks. I haven't been checking the Robinhood app as much since investing in dividend stocks. I am currently working on getting my portfolio posted on the investing page of my blog. 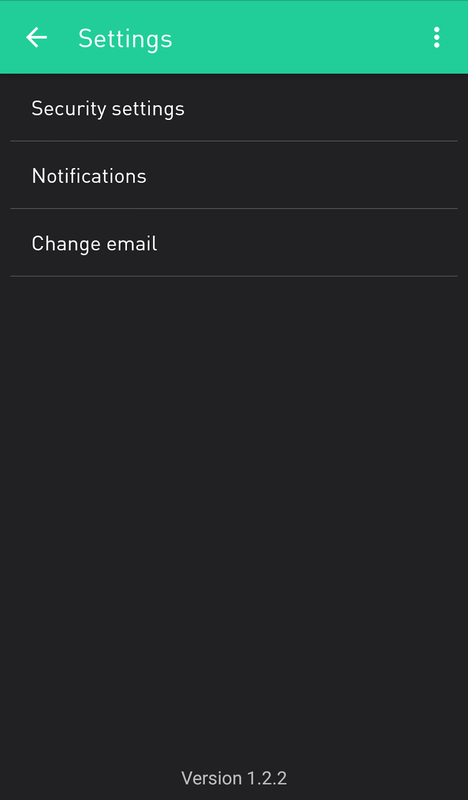 Below are some pictures of the app after the update and a picture of the updates listed on the Google Play store.